Your prize is knowing you're the first to guess correctly! Aren't you thrilled??!! Not only thrilled but absolutely over the Moon knowing your car will have a New Evaporator installed & you be mind free of this Problem i absolutely fear in W140's for a Very Very long Time . Wishing you Luck with the re-install that it wont cause you to much trouble with all the little fiddly bits & pieces . I know what this repair is like . Got the new evaporator in the housing today, ready to go back in the car tomorrow. Just need to get some new weather stripping tomorrow morning. That part of the job wasn't too bad, just 10,000 clips and screws to remove and replace. 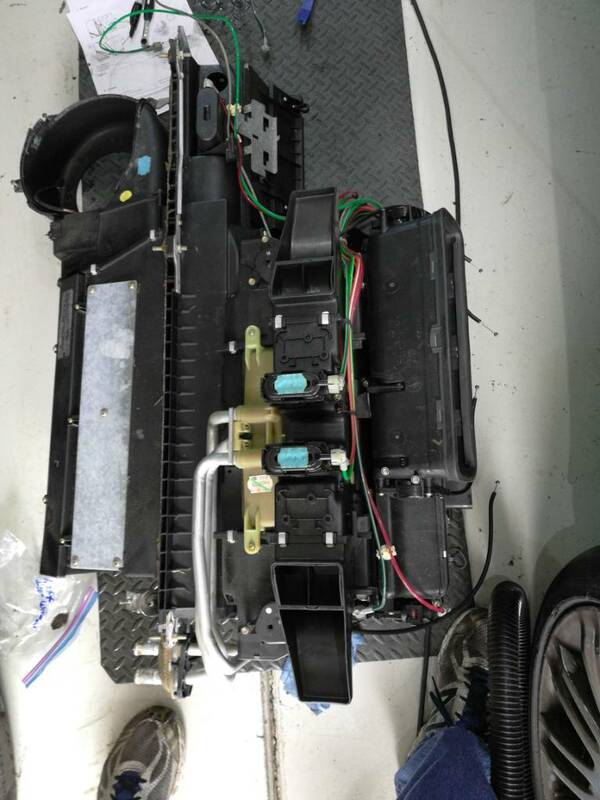 Why they made the heater core so you could remove it by taking out 3 screws, but you have to disassemble most of the housing to get the evaporator out, I have no clue. I plan to mount it, connect the a/c lines, pull a vacuum, and make sure there are no leaks before I put everything else back together. I like how the early cars have the under dash frame painted. Pure & true Quality at it's Best except for the Core itself. Got the case back in, and pulled a vacuum. Letting it sit to see if bleeds down.